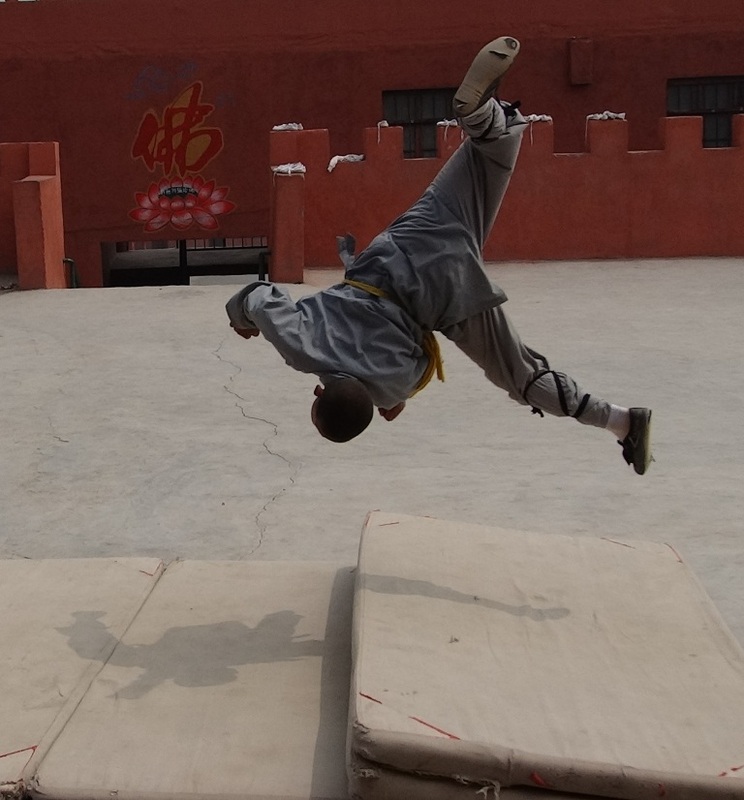 This weekend I visited a small Kung Fu school in Henan Province, Wusengyuan (武僧院). It usually isn’t open to visitors, but they made an exception for our tour group! 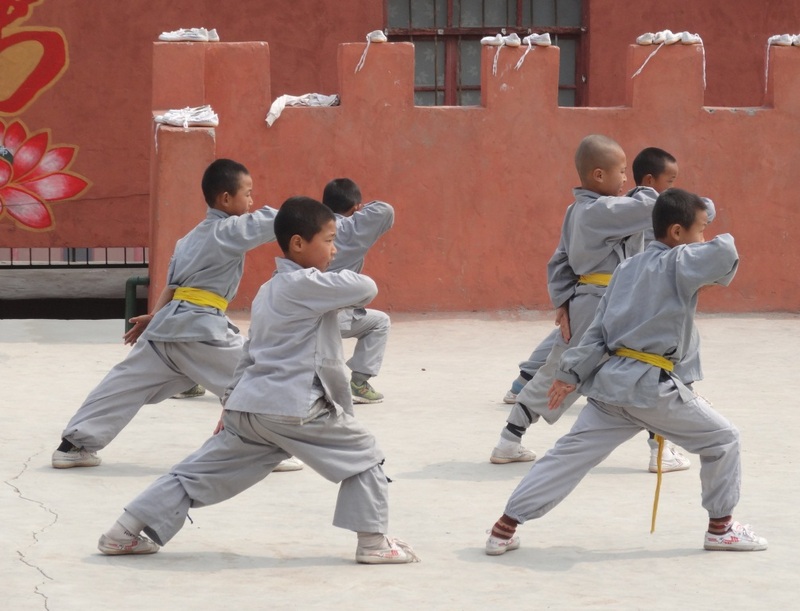 At this school, students pay to take classes for up to three years, at which point they can be invited to stay at the school and continue learning the art of Shaolin Kung Fu. The school becomes like a family, with the teacher knowing the names of all 200 students. Although the average age is six or seven, the youngest student there was only three years old! 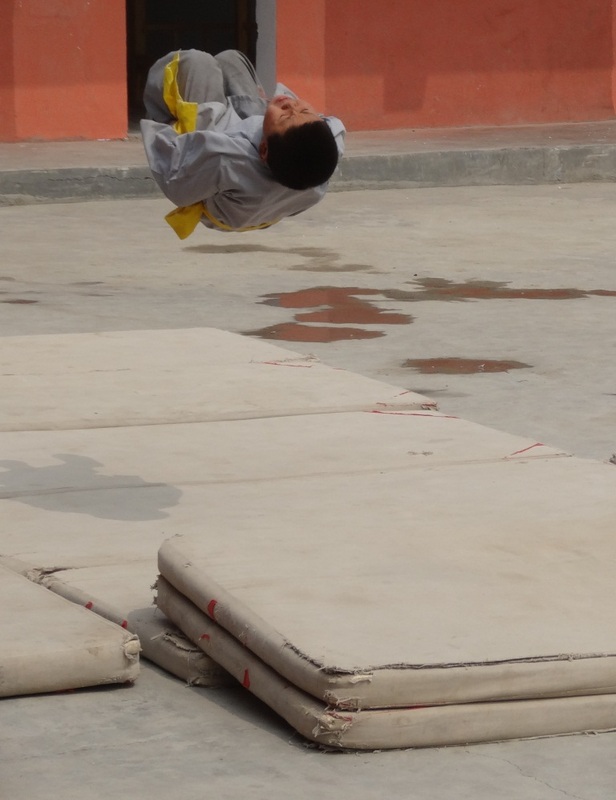 When we visited, there were various groups of students practicing basic skills, jumps and leaps, movements in groups, and even boxing. Although there were students of many different levels, they really impressed me with some of the movements they could already perform. 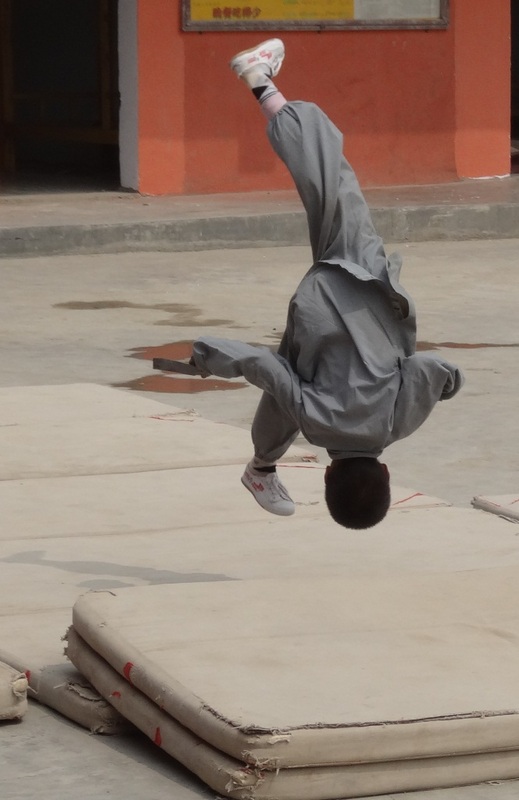 One of my friends noted it included a lot of gymnastics, and I have to agree. Just look at how high some of them were jumping! With the group drills, there was always a student calling out the different movements, so I got a chance to brush up on my Chinese numbers 1- 10. Although I’m sure it’s hard work, most of the students looked like they were really enjoying themselves. 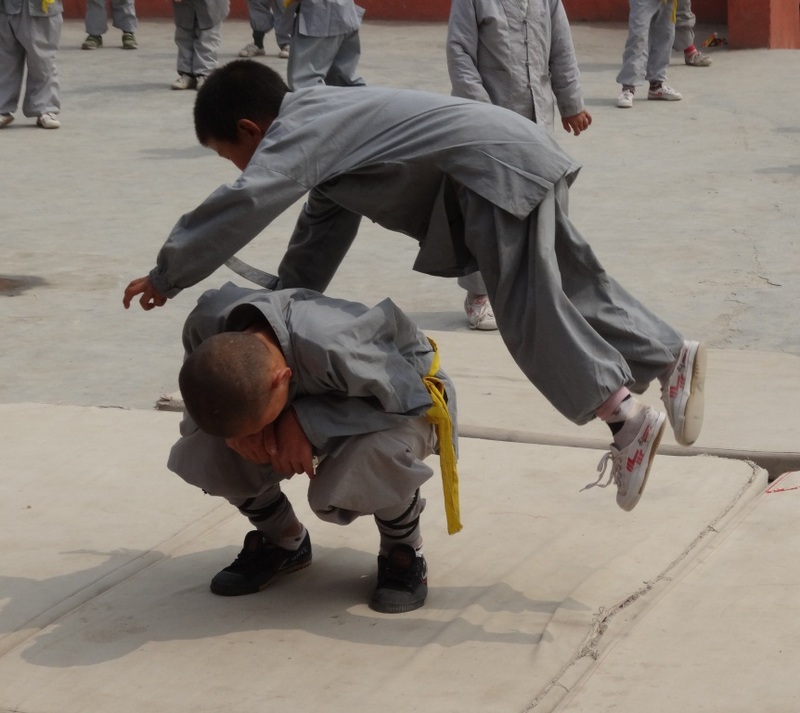 In addition to learning kung fu, the students have to take lessons in all the normal school subjects as well. This means they only get one day off every two weeks. 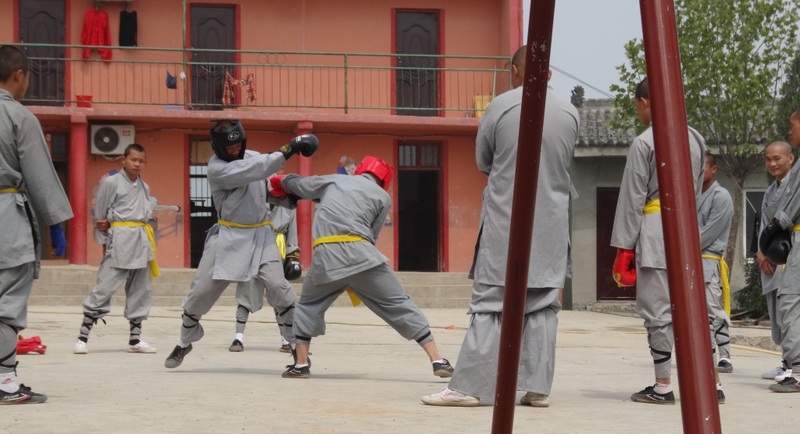 In addition the tumbling, the older students were also practicing boxing, breaking bricks with their hands, and training with wooden posts to practice their hand attacks. It was really fascinating to see all the different areas of the school, and the variety of lessons they were learning. 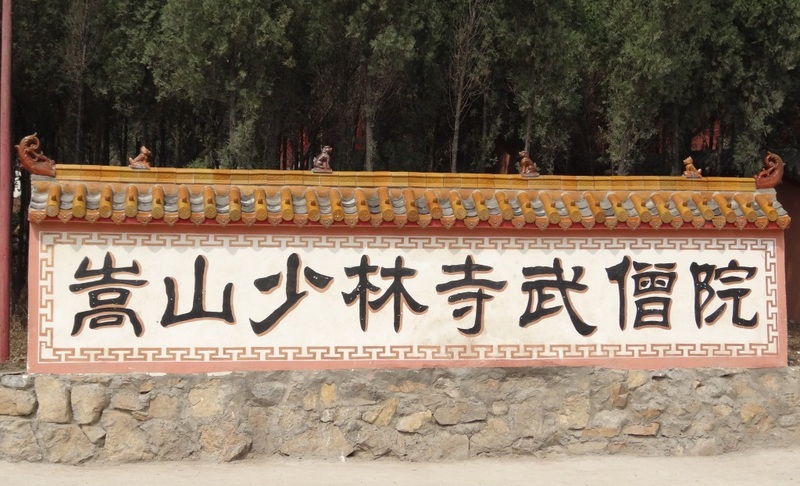 The school itself was set in a gorgeous mountain area, which is probably much cooler in the summer than Beijing! 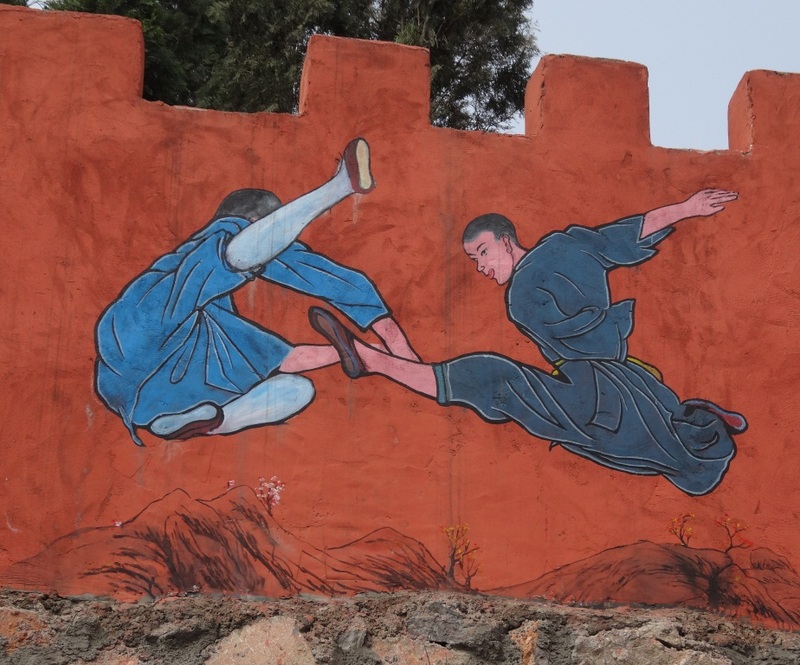 There were many paintings all over the walls. Just when we thought our visit was concluding, the teacher decided to give some challenges to some of the more advanced students. This included breaking bricks with their hands. The student below has only been studying at the school for one year. We probably spent a couple of hours at the school, and I was very thankful they allowed us to visit and watch their practices. 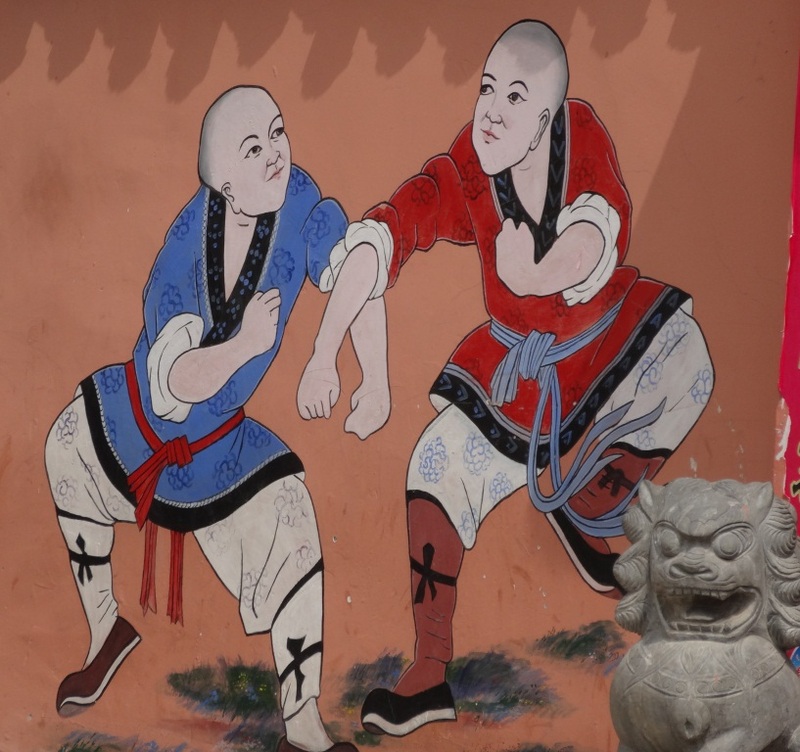 It was really interesting to get a glimpse of what it might be like to be at full-time kung fu school, and the skill of the students was really impressive. Thank you to all the students and the teacher for allowing us to visit, and thank you to China Culture Center for organizing the trip!